The spirit of renovation is in the air at the University of Louisville’s Ekstrom Library. In the upcoming summer, the library will undergo extensive third-floor renovations, temporarily displacing collections to provide more study space for students. These renovations fit with the library’s stated goal to “provide spaces where/when our users need them.” The inconvenience should result in a more efficient and welcoming use of the library’s limited space. In contrast, the Civic Education Gallery of the McConnell-Chao archive is neither efficient nor welcoming. The gallery was built a decade ago as part of the 7,000 square feet archive construction that cost 3.6 million dollars in private donations. The space is maintained by the McConnell Center, outside the jurisdiction of U of L’s Archives and Special Collections. Students, staff nor faculty use the space for its explicit educational purpose, barring some satirical comments & mockery. I have worked in the library for nearly four years and I can count on one hand the number of times I have directed a patron there. For a library that is so desperately searching for student space, the gallery’s lack of appeal to the U of L community is an issue. By permanently exhibiting memorabilia from McConnell & Chao’s lives, the university is supporting the idea that only people with power and money deserve to be archived. Furthermore, dedicating a space on campus to idealize a man who actively votes to take away the rights of immigrants, women, the LGBTQ+ community, people of color, and low-income citizens sends the message that our university and library do not care about oppressed groups, inclusion or equality. With the support of the student body, we will urge university administration to re-purpose the Civic Education Gallery, possibly into a more-relevant rotating archival exhibition or more space for student study. 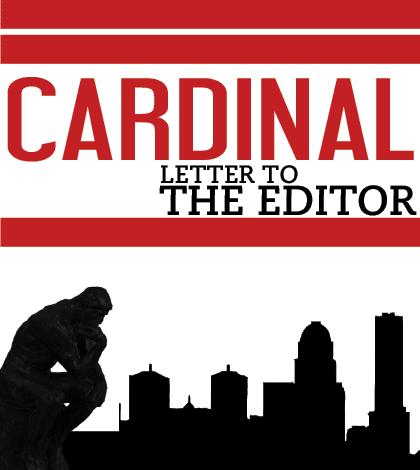 To be clear, we are not proposing that the archival material itself be eliminated, only that space be used for the active benefit of the U of L community instead of the interests of a few powerful individuals. If you would like to read more and support our re-purposing proposal to university administration, follow the link to our petition at tinyurl.com/McConnellRepurposing. Email our team at [email protected] to express any questions, concerns, or disagreements you may have.